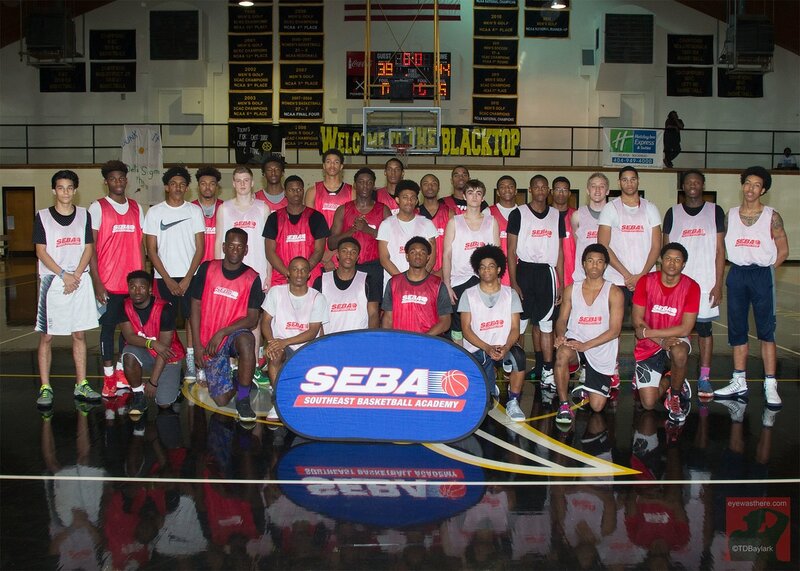 ​Atlanta, Ga – The 2017 Southeast Basketball Academy (SEBA) Atlanta College Showcase took place on March 18 on the campus of Oglethorpe University. For the past twelve years, this event has successfully brought together available prospects from throughout the South and provided them with an opportunity to demonstrate their abilities to College Coaches. The event has served as bridge between players and coaches and has resulted in scholarships and playing opportunities for hundreds of players since its inception. The Showcase provided a complete and well-rounded day of competition, development, inspiration, and exposure. During the morning session, the players participated in fundamental skills stations conducted by an excellent group of top high school, travel ball, and skill development coaches. 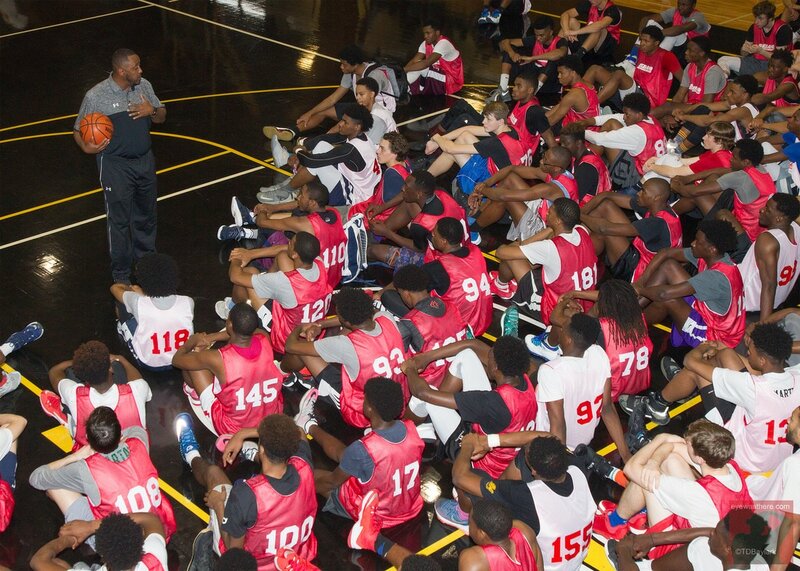 Following the morning stations, Coach Courtney Brooks, who led Southwest Atlanta Christian Academy (SACA) squad to National prominence and State Titles in 2004 and 2006, delivered a rousing and memorable speech which captivated all in attendance. Coach Brooks passionately spoke on the importance of pursuing dreams, sacrifice, discipline, gratitude, and faith. At Mid-day, the players moved into the 5-on-5 games, where they competed in three (3) full-court games with their respective camp team throughout the afternoon and early evening. The event concluded with an exciting and intense "Top 30" All-Star Game. The well-played finale was a fitting cap to a highly successful camp. Special Note: We want to extend big thanks to all of the High School and Travel Ball coaches throughout Georgia and the entire Southeast who supported this event. Additionally, we want to send a special thanks to Courtney Brooks (Fellowship of Christian Athletes), Cabral Huff (Duluth), Aloysius Henry (Methodist University); Bradley Grayson, Jamal Basit (Dutchtown); Chuck Melito (Atlanta Show/NEBA); Walter Perkins III and Walter Perkins IV, Dale Williams, (Brandon Bolts); Darin Cooper (Harrison), James Davis (Ball For Life Foundation); Brian Fisher (3 Strong Co), Travis Moore and Shawn Courtney for their time and efforts in working with the players; the Georgia Basketball Coaches Association (GABCA), and last but not least Head Coach Phil Ponder, Assistant Coach Branden Jovaag, and the entire Oglethorpe University Basketball program for their ongoing support.